I’m not usually a huge fan of mysteries, I get caught up in my own head dissecting every character to determine “who-dunnit” before the fictional police do. However, this one reads like a novel and kindly makes our suspects plain (it drives me crazy when the killer turns out to be some minor character introduced on page two who doesn’t pop up again until they’re determined to be a sociopath in the last act.) Anyway, Hattie is a sophisticated high school senior who can’t wait to shake off her Minnesota farm life and head for Broadway. Alas, the poor girl never makes it that far, as she gets herself gruesomely murdered two months before graduation. This being a small town, Sheriff Del is a close family friend of the victim and her family and the impact on the town at large feels uncomfortably genuine. Told from Del’s perspective starting from the day of the murder, forward, and in flashback by Hattie and several suspects, I liked that the detective is piecing together Hattie’s hidden secrets, as we are seeing them revealed in the past. 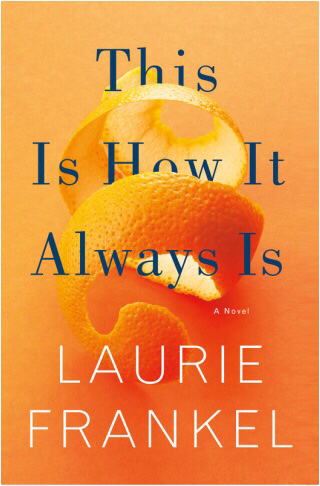 Hattie’s relationships with her boyfriend(s) and family are fleshed out as the story progresses and the ending wasn’t nearly as cut and dried as many are in this genre…good stuff. Rosie, an ER doctor and Penn, a stay-at-home-dad working on a novel, live in a ramshackle farm-house in rural Wisconsin where they share an idyllic life with their five lively boys. Five-year-old Claude is the best-loved of the Walsh clan and is adamant that when he grows up, he wants to be…a girl. After realizing this is not a phase, siblings and parents are understandably concerned but ultimately just want Claude to be happy, so when he decides to change his name to Poppy, watching her totter around in heels and dresses from Mom’s closet becomes the norm. Until school starts. When a disgruntled Poppy goes to school in boy clothes he begins to withdraw and shrink into himself, so the school and the family give Poppy a shot. Some are open and curious, others mean and judgemental to the whole family. After a play date goes horribly wrong and nearly turns violent the family decides to move to Seattle, where transgender is more widely celebrated. While everyone in Wisconsin was aware of the situation, in their new community they simply introduce her as a female and Poppy thrives. Until puberty arrives…this poor kid! I have to say, when Poppy is outed at her school and left devastated, I wondered where all the so-called Seattle tolerance was hiding, but then I remembered, oh right, many middle school kids possess about zero empathy. On a trip to a Thailand clinic with mom, Poppy gains perspective on the bigger world and how she will some day be accepted (by some) as an adult, while realizing there will always be struggles that her close-knit family can’t protect her from. Not knowing anyone who is transgender (or do I?) this novel was like an anthropological study…fascinating! J.D. 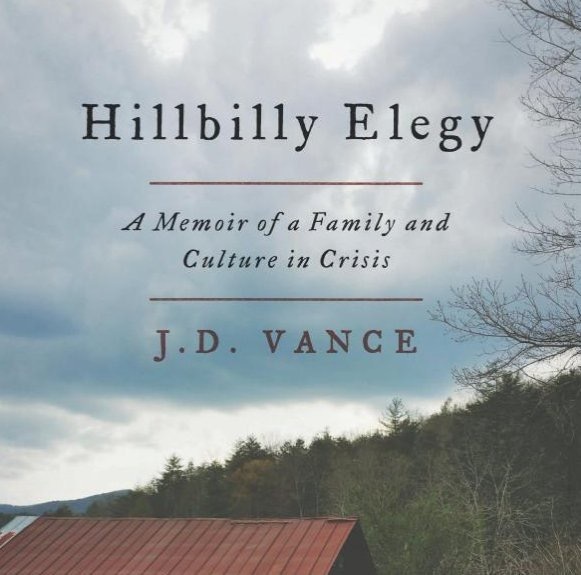 Vance comes from a long line of hill people in southern Ohio and Kentucky (he is literally a distant relation of the Hatfields, famous for feuding with the McCoys), and explores a culture where the lack of jobs lead to laziness, domestic violence and often drug addiction. Vance, himself, was the product of paternal abandonment and an extremely erratic mother who endured a life long drug problem. Fortunately, his saving grace were grandparents, Mawmaw and Pawpaw, who were indeed poor and ready for a fight, but also put great stock in education and encouraged young J.D. that he could achieve anything through hard work, creating stability that the bright young man desperately needed. After four years in the marines and an accelerated undergrad education at Ohio State, a mentor encouraged him to apply to the Ivies for law school and he found himself at Yale, where for the first time, he felt like a complete outsider, unfamiliar with the sophisticated ways of his peers. It was here that he understood how the people in his bloodline didn’t trust or believe in the elite running their country, paving the way for our recent political climate. A harsh and honest look at the white working class from a Yale Law school graduate who lived it.